Triple Crown Syndications will be active at the Inglis Premier Yearling Sale in Melbourne from Sunday, a sale from which we have had notable success. Take a moment to enjoy these three belters we’ve selected from previous editions of the sale! 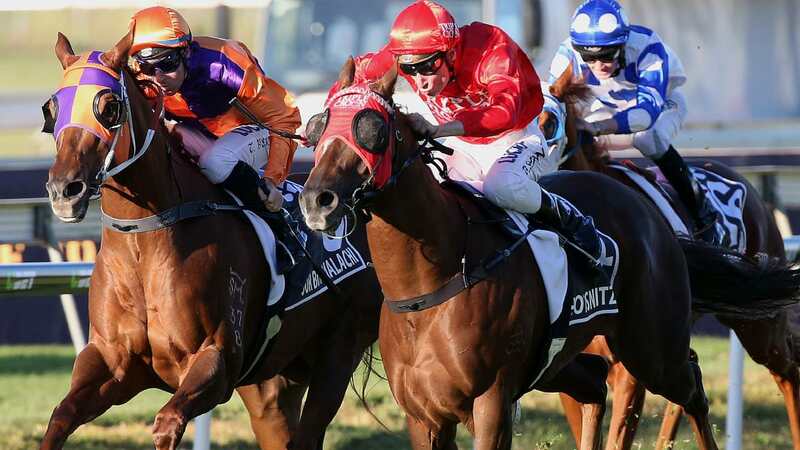 One of the greatest horses to race in The Red, Hot Snitzel was a winner of seven races at Stakes level, including a terrific victory in the Group 1 BTC Cup – and all for a purchase price of just $60,000. 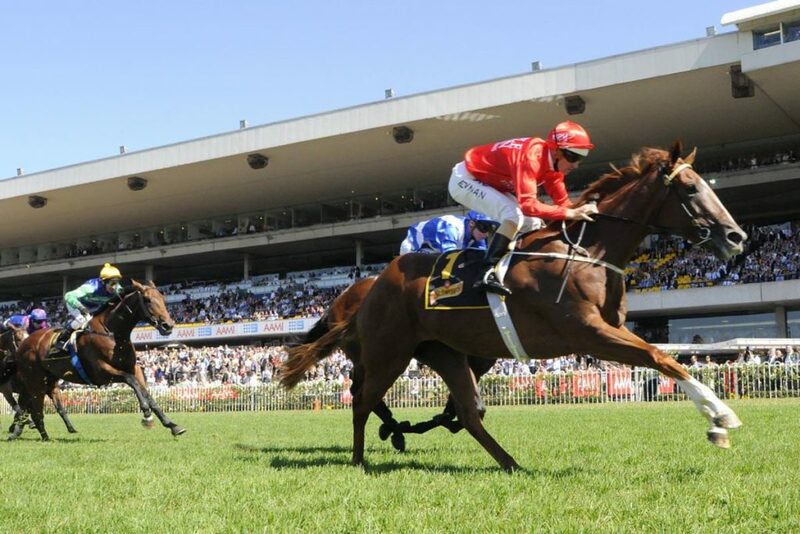 Having twice crowned himself a winner at Group 2 level, winning the Sires’ Produce at Eagle Farm and the Royal Sovereign Stakes at Warwick Farm, the elusive Group 1 victory was so dearly craved. However, now trained by Paul Snowden, he duly delivered a scintillating display at Doomben in May 2015 to take the BTC Cup by three quarters of a length, and ensure his place among the Triple Crown greats! Hot Snitzel collected $1.3 million in prizemoney for his owners, who he took on a terrific journey, from his debut win at Rosehill to incredible trips to the Gold Coast and Doomben. This Snitzel was one hot customer! You may not believe that pigs can fly but this Snitzel certainly could! 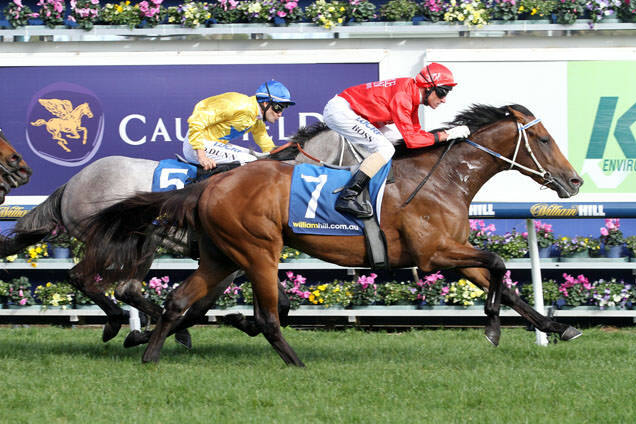 Bought at the Inglis Premier Yearling Sale in February 2011, she was knocked down to Triple Crown for just $25,000. Two and a half years later, and she retired a Group 2 and Group 3 winner, earning almost $350,000 in prizemoney. After winning her two trials, she bolted up on debut at Canterbury, and from then she was always destined for dizzier heights. A placing in the Group 2 Magic Night Stakes followed, before she announced herself a black type winner when landing the Baillieu Stakes at Rosehill. Yet her finest moment arrived at Flemington in March 2013, as she came from nowhere to sweep through the field and take victory in the Group 2 Kewney Stakes. After her retirement she was sold for $410,000, giving a great return to her owners, as well as many memorable days out! The best-performing son of Reward For Effort exploded onto the scene, winning three of his first four starts, with two successes at Group 3 level among them. Bought for $100,000 in 2014, the now four-year-old has amassed nearly $350,000 in his career, and has added over $90,000 to his coffers in this preparation alone. After impressing in victory at Mornington, Gold Symphony struck in successive Group 3 races, taking the Vain Stakes at Caulfield, followed by the McNeil Stakes over 1200m at the same track. A great servant who gives his all each time, he continues to earn for his merry band of owners! Which champions will we recruit this year? Keep up to date with our purchases from the Inglis Premier Sale via our Twitter page. The sale gets underway on Sunday at 12 noon. Don’t miss the latest offering from Triple Crown – a wonderful filly by All Too Hard, the record-breaking half-brother to none other than Black Caviar! Click here for further information.